I'll never forget the season of life from early 1998 until September 27th 2001. My wife and I had married quite young and had hoped to start a family. Our first pregnancy came with the expected joy, rapid family announcements and the fresh hopes of new parenthood. These hopes came quickly crashing down when we lost the first child to miscarriage. Over the course of the next several years we lost four more successively. It became an act of courage for my wife to hope to get pregnant and then hope the child would make it to term. It felt like a bad movie where the same script kept playing over and over. In that season we thought about many things. My wife and I both wrestled with God’s relation to pain and suffering. Her questions were related to God's care for her and mine were more intellectual, considering if God was real. We also wrestled with the concept of Christian hope and the Lord really met with us in and through this time. God gave us quite a different perspective than we had in our youthful idealism. The real struggle was with the continual disappointment with our circumstances. We were able to conceive quite readily only to have our hopes come crashing down. As a husband, it really hit me when my wife said, "I've been pregnant or dealing with the aftermath of miscarriage constantly, nonstop for three years and we have no children." Hearing that was heartbreaking. My bride had gone through every miscarriage physically, emotionally and spiritually and she began to really wonder if she wanted to try again. You see, there is a hope that disappoints. Trying again meant facing the unknown once again with a past that grew with disappointment. One of the passages of scripture that really ministered to us came in the form of rhetorical question from the apostle Paul in Romans chapter 8.
Who hopes for what he sees? Who hopes for what they already have? Nobody. Hope is a future facing reality whereby we long for something we do not yet have. As such, hope in this life can be a very disappointing thing. We had hoped for children. Have our family, nice, quick and easy. Disappointment. We hope that things will go better at our jobs but sometimes they don't. Disappointment. We hope to accomplish something in a sport and we get injured. Disappointment. We hope that our relationships will be full of joy and glory. Sometimes they are just made of the stuff of the earth. Disappointment. Many times we think it is a promise from God to make us healthy, wealthy and wise. Not the case. Disappointment. It takes courage to have hope in our world. Our expectations vary, are adjusted by reality and sometimes come crashing down. The whole book of Ecclesiastes is about deconstructing and unwinding our earthly hopes. This wonderful book wrecks us for putting our hope in the wrong things. You think wisdom and learning will make life perfect? Wrong. Wealth and achievement? Wrong again. Having pleasure? Nope. Placing our ultimate joy and future on the shaky foundations of this world is a fools errand here under the sun. Vanity, emptiness, a mere chasing after the wind. Yet the gospel offers such a different foundation for hope in this life. As a human being we hope for something different in our current story. We grow numb and disappointed. But as a Christian, we have hope in God’s promise that all things will turn out to be far more than OK. This sort of hope is such a scarce commodity among the human race. Our hope is always future facing so with every earthbound disappointment we renew hope in the promises we have in Christ. His Spirit is in us as a deposit guaranteeing our possession of a glorious future (Ephesians 1:11-14). He has an inheritance for us that will never spoil, fade or perish, kept in heaven for us (1 Peter 1:3-9). The Spirit has poured his love into our hearts so that we have a renewed hope and renewed vision even amidst the darkest of days. This is why our hope in God's promises in Christ are called "a firm anchor of the soul" by the writer of the book of Hebrews. Hope indeed is the final frontier for human beings. This life filled with sin and death can batter the small hopes of the masses into despair. Yet for those who trust in the promises of Christ, who believe in the resurrection of the dead, who believe in the life to come and his glorious Kingdom have a different story. They will live from hope to hope through every trial and difficulty. Today’s disappointments will one day fully and finally fade into the eternal promises of our God. This Easter you may perhaps say to one another "He is risen!" And when you reply, "He is risen indeed," remember that you have a hope that will not disappoint and not simply a religious slogan to echo. Your future resurrection with Christ guarantees that you will stand some day in glory with hope fulfilled by sight. Even when you face the final blows of death your hope will transcend that moment where many think all is lost. If we have placed our hope only in this life we are to be more pitied than all men. (1 Corinthians 15:19). Yet Christ is risen from the dead and he leads us into and over the final frontiers of hope into the Kingdom of Heaven. Bank on it. In this series we covered some ground on preaching in today's post-Christian context. We so desire preaching to be biblical, contextual, engage the affections and thoughtfully engage people in culture. The final aspect of my vision for a vibrant and faithful pulpit ministry is to preach repentance of sin and faith in Jesus the Christ constantly, tirelessly, and unyieldingly. In doing so, we want to regularly expose our inability to rescue ourselves from sin, death, hell, and the right wrath of a just and holy God. Furthermore, we want to point to the all sufficient savior who paid fully for the sins of his people and is utterly trustworthy to save us, forgive us, change us, and lead us forward in mission now and into the Kingdom of God for eternity. In the messages I preach, I want to always point people to God’s utter kindness to sinners in Christ and to repent of our folly and wandering into the love of lesser things. Such a preaching ministry should show Jesus as both Savior and King; the one who forgives and has paid for sin and the one who leads our lives. Jesus saves us and leads us in a new life that is pleasing to God, profitable to us and manifests the beauty of his Kingdom on the earth. Preaching should provoke faith to follow which leads to love and practical obedience. My aim will never be to simply preach “how-to” sermons that center on us but rather Christ-centered, Christ-exalting sermons that give us strength for the day, hope for tomorrow and love in our hearts for Jesus. If repentance, faith, hope and love arise in us as we see Jesus lifted up in the Scripture, we might joyfully follow him together until Kingdom come. As preaching is always a contemporary exercise, the needs, questions, concerns and beliefs of the hearer must be engaged thoughtfully by the pastor who communicates the Word. In preaching, our desire is to anticipate objections to the text that our hearers may have so that we may meet them with grace and truth in the sermon. There are issues in every age that may be considered to be particularly at odds with the Scriptures. We may call these fault lines for the gospel in culture. A fault line is a place where two massive plates in the earth’s crust collide. When this happens the earth literally quakes. In like manner, there are issues in every age and culture that will clash with the Truth and we should be aware of these. In our age, human sexuality, freedom, the nature of truth and authority, human autonomy and the creation of our selves are all massive collision points that preachers will encounter. As such, we want to be able to wisely speak to these issues with two things in our hearts and minds. First, an utter faithfulness to God and his revealed Word. Second, a sensitivity to communicate clearly and compassionately when encountering something along a cultural fault line in the text. As a pastor engages with people he ought to make note of their questions about God, theology, culture, and the gospel and address these both directly and indirectly in his preaching. We want to do this with skill, wisdom and courage. JI Packer, “Introduction: Why Preach” in Samuel T. Logan, The Preacher and Preaching : Reviving the Art in the Twentieth Century (Phillipsburg, N.Y.: Presbyterian and Reformed Pub. Co., 1986), 21. Emphasis in original. In the first two parts of this series on Preaching in Post-Chrsitian Contexts, we focused on the facts that preaching should be both biblical and contextual. Today we move towards seeing one of the aims of preaching: To raise the affections for Jesus so that we might love, worship and follow him. All glory in this life belongs to God! The purpose of the church in Christ is to bring glory to God. Along these biblical lines, one of the great historical catechisms of the faith teach us that our purpose is to glorify God and to enjoy him forever. With such aims in view, the goal of preaching should work to raise our love and affections to Jesus so that we love, worship, obey and thereby glorify him with our lives. The puritan pastor and scholar, Jonathan Edwards once described true religion as consisting in the heart; or in the desires or religious affections. His view was that the fervent love for God had many attending effects on people. This portion of his classic work, The Religious Affections, demonstrates the importance of our love for God upon our walk with God. From a vigorous, affectionate, and fervent love to God, will necessarily arise other religious affections; hence will arise an intense hatred and a fear of sin; a dread of God’s displeasure; gratitude to God for his goodness; complacence and joy in God when he is graciously and sensibly present; grief when he is absent; a joyful hope when a future enjoyment of God is expected; and fervent zeal for the divine glory. In like manner, from a fervent love to men, will arise all other virtuous affections towards them. Preaching should pursue the hearts of people to lift them high towards God in Jesus Christ. The Lord taught us that if we love him, we will obey him. (John 14:15) Christian preaching must have Jesus at center stage for our highest loves and deepest devotion to be aimed. It is my hope that my own preaching will leave hearts with a desire to love, worship, follow and obey Jesus as Lord of their lives. "The Westminter Shorter Catechism," Presbyterian Church in America, accessed February 3, 2017. http://www.pcaac.org/wp-content/uploads/2012/11/ShorterCatechismwithScriptureProofs.pdf. Jonathan Edwards, The Religious Affections (Carlisle, PA: Banner of Truth Trust, 1746, 2001), 36, 37. Over the last decade the book and now full length feature film, The Shack, has swept through our culture. Books have sold, millions spent and made and people's lives profoundly impacted in immense ways. There have also been many detractors from the work due to parts of the book and its message. The Shack is a work of fiction, an allegory of sorts, about God helping us work through the issues of pain and difficulty. It engages us to think through the facades we have created in and through life many times resulting from painful and difficult circumstances. We erect our own shacks, as it were, and never get down to being real and loving with God and others. In one sense, the book is a heartfelt plea for transparency before God so that we might be loving people. It also is a message of hope and forgiveness amidst the worst sorts of pain and human evil. In the post I have no desire to do a book or film review. I also have no desire to offer a theological critique of certain ideas in the story for that has already been done by people I respect like Dr. Timothy Keller. Just do a search here on the web for "Theological problems with The Shack" and you are sure to find many voices. Some are quite thorough. What I do want to offer here is something I have not seen as much of surrounding The Shack. How can people interact around the themes of The Shack in a way that is helpful, encouraging and unifying? That's a question of some interest to me as I've watched some Shack eruptions on places like the Facebook. I particularly want to speak to my theological friends who find major problems with the Shack and perhaps help them engage well with those who have been deeply touched by the story and message of the Shack. What I want to offer you is five simple ways to engage with friends who love The Shack, even as you have major concerns about its portrayal of God and salvation. I hope these ways of engagement will help you both love and think well about truth with others. I have little patience for those who harshly critique something without actually reading it. I remember years ago having to read Dan Brown's The Da Vinci Code novel because so many people were asking me questions about its narrative and some of claims in the book. I had to read it. Not a bad book. Full of pseudo-Christian-religious falsehoods, but not a bad page turner. If you have read a critique by someone on The Shack and then have concerns for friends who are effusively rejoicing in it. Please read it before engaging with them. They will not care that you read Challies' blog on the book. They will likely ask if you have read it. If not, read it first. Then engage. Otherwise your critique just might come off as, and may actually be, disingenuous. Not everything in The Shack is bad. There are many wonderful things about being human, about our feelings and about God that are discussed in the story of Mack at the Shack. When you engage with anyone about something they treasure, do affirm the good, the right and true found therein. Personally, I read the book in audible format and just wept in the early part of the book which tells a very difficult story. I was particularly moved by it because I have daughters. Furthermore, the Shack tells us that God does care about human suffering. This is a biblical truth and I'm sure glad God cares. It is my view that the God of the Bible is a quite different than the allegorical treatment found in the Shack, but certainly the Trinity is not unconcerned about the human condition. God is not distant and uncaring. The Bible says he is a present help in a time of trouble (Psalm 46) and Jesus wept with friends at a funeral (John 11). Let's agree and affirm with our friends that we love the fact that God is not distant and uncaring and that our suffering must be engaged. Rather than stuff our pain we bring it before our Lord. When interacting with anyone with which you have a disagreement, always look for some commonality and shared truth. It's good to start a journey and discussion holding hands in some way. You may part ways but let's not do so right at the beginning. We should listen to our friends talk about the Shack and its effect on their lives. As we listen we can also joyfully share. As the god(s) began to talk in the book, I felt myself longing for God of Scripture rather than Papa, Jesus and Sarayu. In one way I was grateful that God is not merely a bystander and helpless when evil comes. I was grateful that the Sovereign God would be with my little girls if they were ever so abused. I was grateful to know that they would be with God forever no matter what befell them on earth. They were safe in the hands of God even if tortured by the hands of men. I was also grateful that God will judge, rightly judge, unrepentant sin and evil done on the earth. The one who did evil to the child in the narrative of the Shack can indeed be forgiven and have his sins paid for. Yet if he persisted in numb, careless, evil doing without any repentance? I am grateful to know that God will fully judge such evil and evil doing. The true gospel became more delightful to me as I read about a God that could not stop anyone's free will and nobody would be judged in the end. We can share kindly with our friends why we love the Sovereignty of God, the substitutionary death of Jesus for sinners and the reality and just nature of divine judgement. We can share our views of how the gospel is God's final and full answer to the question of suffering and that God's judgment is right and good. This book made me really think about God and suffering? Have you thought about this much before? In the middle of our suffering what would you want to know from God? What did you think about the part of the book where God seems rather helpless in the face of our "free will?" How do we know if God is really like these characters in The Shack? Do you think God is whoever we want God to be? How does it feel to you if someone misrepresents us to others? If God could "self-reveal" his character would you be interested in reading about that? The Scriptures are useful for correcting, rebuking and training in righteousness. Point your friend to the truth of the Bible. Jesus always asked questions of others. He makes us think by questioning people and telling us stories that deeply challenge assumptions. This indirect mode of confronting us is a loving act of the loving God. We should look at the way of Jesus. No, he is not always "nice" to people he questions in that he tells them only what they want to hear. But he shows us that in bringing truth and clarity, asking people questions can help. If you want to share with Shack friends and be heard you may want try a different strategy than "Attack the Shack" with your friends. You don't have to embrace the errors of the Shack to interact with others who have been moved by it. In fact, to be loving, we must rejoice in the truth (See 1 Corinthians 13). Yet we must also be patient and kind with others and not simply seek our own desire to win arguments. Even arguments related to The Shack. I don't want my friends and family to embrace an impotent, sin accepting God or universal atonement. It is a false vision that needs correction. Yet to lead people to the sovereign, sin defeating, sin forgiving savior we must be patient and kind, gentle and respectful as we engage with others. Yes, even those who just love, love, love The Shack. There are problems with fictional works if they teach people false things about God, Jesus, the gospel and salvation. It is a serious thing. And because it is, we want to engage well with others. I guess my plea is for you not to be another bit of proof to those rejecting theology and sound doctrine that those who are concerned about such things are mostly unloving jerks. All the best as you thoughtfully engage others with the gospel of Jesus Christ. Even if this comes by engaging around The Shack. In part one of this series, A Vision for Preaching in Post Christian Contexts, we began with a simply, but essential claim, preaching should be biblical. In any time and place we most keep our preaching vision connected to the Scriptures. If we do not begin with the Bible then everything else will go off the rails as we seek to communicate truth to our context. The prophets, apostles and Jesus Christ must be the content of our preaching as we seek to connect and communicate the gospel to people in culture. With this said, we have further work to do in order to be faithful preachers in our day. In practical terms this means I will seek to speak about the Word and their World drawing from the literature, films, art forms of contemporary culture. I will not start with the Bible and then jump out of the text into the world for a nice pep talk. Nor will I simply teach the content of Scripture without seeking to connect with people where they live, work and play. 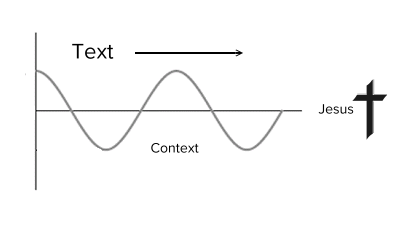 I like to think of a sinusoidal wave that sows together text and context. Going into their world from the Bible and then back into the Bible from appropriate connection points in their world. In having multiple entry points and exit points it is my hope to connect with various people who are hearing the preaching of the Word. The goal is always working to take people on a journey with and to Jesus to raise their affections for, worship of and obedience to Him. This will be our third aspect of preaching. It should engage the affections for Jesus. See my discussion in Gregg R. Allison, Sojourners and Strangers : The Doctrine of the Church, Foundations of Evangelical Theology Series (Wheaton, Ill.: Crossway, 2012), 149. Kuruvilla cites Karth Barth who noted this as the translation of theology into the language of the newspaper. Kuruvilla, A Vision for Preaching : Understanding the Heart of Pastoral Ministry, 118. It should be noted that there was an expectation in the early church that non-believers would be present in church gatherings. Many times, this passage is overlooked because of debates on prophecy and tongues etc. but 1 Corinthians 14:23-25 makes it clear that unbelievers entering a worship gathering should not be an unexpected reality. One of the most important task of any leader in the movement of Jesus is to communicate the good news and the truth of biblical revelation to the people under his influence. A vision for the who, the what, the why and how of preaching is a must in every generation until Jesus returns. It is of particular importance in the post-Christian west as we seek to be faithful both to the gospel and to reaching people in culture. How great the confusion will be left to those who follow if pulpit ministries goes astray! We have observed throughout history that false teachers can have an incredible sway on others. When they occupy the sacred desk of the pastor, how much more the damage may be done. What will follow here is simply a brief elaboration on my philosophy of the preaching ministry for our day and time. I will unpack this by highlighting some aspects of the preaching task which I feel is essential to this sort of work. In doing so, I hope to give a vision into a passion for mission and how I see responsible pulpit ministry as essential to ministry. For simplicity, I’ve chosen headers for each section which read “Preaching should…” as these things are my recommendations to any of you who would engage in the preaching task. The first focus follows here and others will flow out on the blog in the week ahead. I charge you in the presence of God and of Christ Jesus, who is to judge the living and the dead, and by his appearing and his kingdom:  preach the word; be ready in season and out of season; reprove, rebuke, and exhort, with complete patience and teaching. For the time is coming when people will not endure sound teaching, but having itching ears they will accumulate for themselves teachers to suit their own passions,  and will turn away from listening to the truth and wander off into myths. As for you, always be sober-minded, endure suffering, do the work of an evangelist, fulfill your ministry. These words are contained in Paul’s final letter and contains some strong clarity for young ministers starting out. First, he gives a charge that should clear the head and perk up the ears. He basically says, I challenge you in front of God, Jesus and Kingdom come. Serious stuff here. His challenge to Timothy was to preach! But not simply preach his opinions, his clever ideas, things he read in blogs, et. al. He tells him to preach the Word. This ministry will involve preaching the Word of another, that of God himself. It is also interesting that the pastor in his preaching of the Word should be ready to reprove, rebuke, and exhort, with complete patience and teaching. 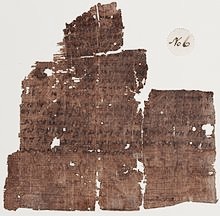 This list is very similar to and parallels that which Paul says about the “Scriptures” in 2 Timothy 3:16 in the immediate textual neighborhood just a few sentences prior. He is to bring God’s Scriptures to the church in light of the tendency of people to wander away into false teaching, drawn away into myths, to teaching they simply want to hear and a myriad of other worldly ideas. There are also exhortations and examples we must look to for the congregation as well. As hearing and heeding the Word of God is not a passive engagement from the church. The ancient church in Thessalonica was said they received the word of God not as the words of men but as the Word of God (1 Thessalonians 2:13). Furthermore, James exhorted early Jewish believers to be quick to hear and to receive the implanted word with all meekness. This word, James tells us, is able to save souls. The Word needs to be heard but also heeded and obeyed. (See full context by reading James 1:19-25). Preaching should be biblical in that it should explain the meaning of and application of the Scriptures of the Old and New Testaments. Christians should sit under such teaching and eager to hear the Words of God to follow Jesus in life and mission. Far too often the traditions of men get substituted in for the words of God. (Mark 7:1-13) This temptation should be resisted by keeping our Bibles open and our hearts tuned to the words of the Lord. Abraham Kuruvilla, A Vision for Preaching : Understanding the Heart of Pastoral Ministry (Grand Rapids, Michigan: Baker Academic, 2015), 26. Planting multiethnic churches is a complex and challenging reality in whatever culture of the earth we might find ourselves. Planting them in the North American context has it's own unique challenges and opportunities. I am aware that there are many people who advocate reaching people using what is known to missiologists as the homogeneous unit principal or HUP for short. This principal says that it is most effective to reach people evangelistically "in their own tribe." In some contexts, there is great merit to this as you need to speak the same language and share some cultural foundations in order to connect and communicate the gospel of Jesus Christ. Additionally, there are times when mono ethnic churches make sense for various reasons. Freedom to express community identity apart from the hegemony of a dominant culture and first generation immigrant communities come to mind. However, in many places on the earth, cultures are living in close proximity to one another with people of various ethnic and social backgrounds in the same cities. This is not unlike many of the places in the first century where the gospel took root. So in this essay I have no interest in debating the HUP as it pertains to North American church planting. I am writing for those who have a similar conviction, calling and passion for planting multiethnic and transcultural churches. In our cultural narrative we have deep roots of racial bigotry, systemic oppression and cultural suspicions between various peoples. We also have the opportunity to live out together the transcultural nature of the gospel of Jesus Christ which creates one new people out of the peoples of the earth. So in desiring to plant churches, my heart and passion was always to plant a multiethnic one where the beauty of gospel reconciliation, justice, love and unity might show off the glory of Jesus Christ. Every human being is endued with the Imago Dei, the image of God, captured in unique cultural and ethnic expressions which embody the full breadth of God’s creative genius, not to be subverted by the ethnic/ cultural identity and preferences of another, but celebrated in creating a fuller expression of our humanity, a woven tapestry of color, culture, and class as God forms a people for Himself from all people. Lèonce Crump, Renovate: Changing Who You Are by Loving Where You Are (Multnomah, 2016) 112. Second, as a white guy, I cannot help but write from a particular cultural viewpoint in North America. My only hope is to offer counsel as one who has planted a church with these aims and practices. I have also continually submitted my ideas, bias and perspective to others I respect to grow in empathy and servant leadership. I do offer this one caveat as I begin. You may be planting in an all Chinese neighborhood or an all-white corn field town or a section of a city that is majority African-American. I get that. Yet to be transcultural means we also look within race/ethne to also live together across economic status, caste, life station and world assigned place. Furthermore, with the density and close proximity of many areas, I still recommend transcultural church planting and by that I mean doing this from day one in the core team. What follows is a short collection of principles that I think are crucial for building multiethnic core teams for the planting of the gospel in new communities. Ideas which come from Scripture, wisdom and our experience in planting a multiethnic, transcultural congregation in Central New Jersey. The purpose of Old Testament Israel was to be a light to the nations that God's glory will spread throughout all the earth and that the covenant people would include many peoples. (Isaiah 49:1-6) The fulfillment of this arrives in Jesus the Messiah creating one new man out of Jew and Gentile which we read about in Ephesians chapter 2. The great vision in the book of Revelation is that in the Kingdom there will be some from every tribe and tongue of people on the earth. (Revelation 7:9-12) This is to be accomplished by God sending his people to make disciples of all nations/ethne/peoples. (Matthew 28:18-20) God’s mission is therefore inclusive and our destiny is to be a people who are a worshiping community displaying and declaring the glory of God together in all of our panoramic, diverse beauty as humanity made in the image of God. You should ground this ministry philosophy in the gospel, not in cultural guilt, paternalism, social theory or various philosophical views of race. We certainly have to take all of these into account related to our own background and experience, but we ground our conviction in the scripture, the grand story of Jesus Christ. Years ago, I heard my friend John Bryson from Fellowship Bible Church in Memphis talk about all the secondary things we will address when we seek to be a multiethnic community of faith. We do this because it is a biblical conviction, but by doing so we also go after consumerism, preference, privilege and all sorts of concerns in discipleship. These are healthy discipleship byproducts of the goal of following the crucified king in his vision to create a transcultural people. Ground your practice in the theological version of the Bible. It will help sustain you and give a clear apologetic for your practice as you answer any detractors. To plant this way you must have it be a nonnegotiable for you and I even suggest making this a condition for launch. Cultural momentum is real and it's difficult to overcome once you begin. Probably the most important thing about your church plant is its culture. I used the term flow at Jacob's Well in New Jersey. Your flow is the sum total of all things pertaining to your way of life and being. It encompasses many things, both said and unsaid that are felt and experienced by the community. What your flow is like if you start out as an all Asian church matters. Particularly if you are hoping to be a multiethnic church. If you start out as an all white church, you will have massive momentum in an unstated, thick and often assumed cultural direction. With this vision for your church plant, it must be a nonnegotiable from the beginning. It must and cannot get quickly overwhelmed by other “pragmatic” concerns and opposition. Specifically seek out partners who share your passion. The mission of the gospel is not an individualistic enterprise. The Lord always calls together a community to fulfill and live out his purposes. This is particularly important as you seek to plant a multiethnic church. This is a mission and vision that must be shared and held in common by leaders of different backgrounds. If you are a church planter you must pray and specifically seek out like-minded partners for the work. Please remember, this should be intentional but not paternalistic. Tokenism or just desiring people of different skin pigments on the bus is an actual offense to God’s transcultural vision for the church. Your hope and prayer is to do life and mission together, not to simply exist under your cultural vision, habits, bias and preferences. Pray desperation prayers in this direction. I will never forget meeting my friend Manoj Thomas at a prayer meeting for campus ministers at Rutgers University in 2008. We had not even moved to the state of New Jersey but I was up meeting people and praying and seeking God for insight into the context of our church plant. Manoj was a volunteer with a campus ministry while doing his very full-time work with a large software company. During the meeting, he read from Revelation 7 asking why all these groups had to be separate and why a group on campus couldn't be intentionally inclusive of black, Chinese, Asian Indian, Latino and white. He got on his soapbox a bit and later had to leave the meeting early to get to work. Sensing the Lord's Spirit leading, I literally followed him to the parking lot and said to him point-blank, "I would love to do that with you. I have brochures in my bag about a dream to plant a church community on mission that desires what you were talking about in there. Would you pray about doing that with me?" Obviously, both he and I had only minimal first impressions of one another from being in the meeting together. We both took a risk and the rest, as they say, is history. The Thomas family was the first family from New Jersey involved with our plant. The Lord had a family with roots from Ireland and another with roots from India together for the gospel. We prayed that God would would send people to help from various backgrounds before we launched anything public in terms of our ministry. Our goal to become indigenous and multiethnic before launching any public gatherings of the church was key because we wanted a different cultural DNA and momentum from the beginning. To plant multiethnic you must be committed to this vision and avoid the panic of desperation of just having warm bodies in the room to help the plant. Pray for the Lord to send the right partners in the gospel, particularly those from a different background than you. This means the planter must spend time with different people when planting the church. Some men do not have the skills, experience or perseverance to do this well. So, if in the current stage of your journey you're not comfortable in cross cultural settings and do not sacrificially love and serve among people, this kind of work and church planting may not be for you. Start by authentically getting to know people and share one another's experience. Perhaps in the future you'll be ready and equipped to plant this kind of work. Once a church plant does launch and Christ’s mission is being lived together, there are some specific and practical things that can help you maintain and focus on the call to be a transcultural community. These are hyper-practical principles and practices that we found helpful in our work. First, I counsel you to absolutely avoid children's curriculum that is not representational in it's illustrations. Having a curriculum that is mono-racial in it's presentation visually is not inclusive nor helpful in this work. Thankfully many publishers are more conscious of these things today but there still persist much Christian literature in the west that is lily white. Certainly jettison these white boy Jesus illustrations; they are neither helpful nor historically accurate. Second, we had the internal legalism that our platform would never be mono-ethnic on Sunday. Between our host, our preacher and our band members, there should never be a singular vision up front. We sought real diversity in cultural background, ethnicity, age and gender. This ought to affect your band tryouts and who are trained to be upfront hosts and speakers. We actually had a complaint that this seemed like affirmative action. My reply was that we were committed to leading this congregation together and our aim was not simply to have a talent show. Third, when you have videos that are promotional or story oriented, you want to be wise and intentional in your representation. Fourth, be aware of seasons and holidays and celebrate. Even a casual mention of Bollywood films launching during Diwali in a sermon can display a cultural alertness to other people's yearly rhythms. Our church also intentionally celebrated Black history month in February. During the month, I would do personal research and study on an historical figure who was a follower of Jesus and African-American. Each person in our church would get a copy of the short biography I would write to read and reflect upon and learn from saints who had gone before us. You can find a few of those online here. Fifth, affirm and establish a plurality of leaders. If you are not reaching out to, developing and empowering those different than you, you may only be engaged in tokenism and how things look rather than submitting to one another and love. In a North American context, this means that white guys need to intentionally choose to follow and submit to people that are different than you. We are not trying to create ethnic factions with representations in leadership but rather leading together as we become one people. This cannot be done alone and without leadership. Sixth, have open conversations with one another without it being a program. However, if you didn't start out this way you may have to create a program to get people to talk. Seek out mentors to help you avoid being foolish and hurtful to people in your ignorance. We will all make mistakes with each other culturally, but at least try to not be a complete idiot related to other people and cultures. A culture of forgiveness and grace goes a long way as well so model being a good cultural learner and one who asks for forgiveness for his blunders and mistakes. As just one example, I would never post this without having it peer reviewed by trusted friends from other cultural backgrounds. Their influence is found in this essay and it is all the better for it. Seventh, the lead pastor(s) must be all in. Period. If you are seeking to plant or become a multiethnic, transcultural community and the lead guy is not all in you are asking for pain and frustration in the future for all. The leaders of your church must be unified in this commitment to love and live this way. You must absolutely have each other’s back in these matters particularly when things get difficult. Which brings us to our eighth and final principle. Eighth, you need to persevere and be ready for the struggle. You must be ready for the opposition that will come as you address specific injustice, racism, prejudice, consumerism and cultural protectionism. You should expect racially insensitive, racially ignorant, and out racist things to be said at times. Even with planting this way from the start, there will be those who will desire to go only so far in their own transformation of their perspectives. Be prepared to have people even leave your church community over discourse related to transcultural ministry. The bottom line is that planting this way can be slower, harder and more financially difficult; please count the costs. Finally, the Lord has such a blessing in store for people who begin to love and serve crawl across boundaries that are maintained with such vigilance in the world. I cannot tell you how I have benefited from the experiences, theological insight, wisdom, wit and sense of humor of people from different backgrounds. We begin to see our common humanity and paternity under God our father and rejoice in our similarities as well as our diversity. And brothers and sisters, how about the wonderful feast of friendship, fellowship and food! I will never forget our first international lunch at Jacob's Well. A few people thought it was a meeting to promote missions. Yes, we did have a display on hand of our various global partnerships but the true purpose of the event was to have a party. A party where Indian, Chinese, Cuban, Puerto Rican, Soul food and African fare was on hand. People cooked for one another and came dressed in their typical fashion from their home culture. It was a wonderful day. To be honest, some southern style barbecue ribs made by my Chinese American brother Vince was the best thing I ate that day. My mom and dad both grew up in Memphis, TN so I have strong opinions on what good ribs actually are. My brother even cooks barbeque on a competitive team. So to see my Chinese brother absolutely nail something wonderful from my own background and culture brought a smile to my face. The time of fellowship, of sharing life in common was so rich. I even believe it may just have brought a smile to our Lord as well. Rejoice in the King of kings and Lord of lords who had made all the peoples of the earth and is calling some from every tribe to be a kingdom of priests to declare his glory among the nations forever and ever amen. May the Lord give us his grace as he builds his church out of the peoples of this world. And if you have the joy and privilege of being one new people together on earth as it will be in heaven; rejoice all the more! Note: Each of these works and authors brings a particular perspective, terminology and approach to ministry. Read them for their unique perspective and help as you humbly learn and hope for ministry in a new way. The West has eroded its intellectual, spiritual and moral foundations over the last two centuries. This ongoing project has consumed our culture from within. All that seems to be left is self-righteous offense taking, condemnation of others, protests without civility, crass tweets and the will to power. Frederick Nietzsche was correct in his assessment in the late 19th century that the killing off of God in the minds of people would leave a world of chaos and madness. He went mad in his own lifetime; a few lifetimes later we continue to reap what we have sown. For years we have been teaching that the truth is based only on perspective; yours, mine, our tribe or theirs. Morality has no ontological footings or objective reality beyond human opinions. We teach that everyone is basically good apart from any evidence to the contrary. We now hold these, uh, truths? to be self-evident? Now we simply fight it out on Facebook while claiming to not really know either up or down. Who are we to judge? Unless we are all judging our ideological enemies. But we are right and they are wrong...and somebody will pay. Welcome to 2017. What comes next in our culture and what is going on now is indicative of the rotten corpse that is now at the foundation of our civilization. God is dead and we have killed him, yet we are not and will never be worthy of his job. We have lost our ability to disagree without being disagreeable. We have lost love for enemies. We don't even fake it anymore. We have lost hope beyond our political potentates who posture as perennial saviors. We stick it to the man until our tribe becomes the man. Then somebody else will stick it to her, or him, us or zhem. We are bleeding under our own intellectual knives. All is relative, there is no ultimate meaning, and we are only the blind production of matter + chance + time. There is nothing more to this existence. So let the tweeting continue until we make progress in our coming from nothing and returning just as fast. All of this nonsense has now come home to roost in our culture. We inhabit a world of fake news and alternative facts and those complaining about it were likely trained in institutions that rob us of the truth and offer sophisticated dissent from the fact that there are facts. We are now awash in our own intellectual backwash and are now left to drown in a world of noise. Everyone is clamoring for their moment, their focus and a world of their own imagination and it may well be that we have been turned over to judgment and the whirlwinds have cometh. God help us. And thank God that Jesus still saves. So the final conclusion would surely be that whereas other civilizations have been brought down by attacks of barbarians from without, ours had the unique distinction of training its own destroyers at its own educational institutions, and then providing them with facilities for propagating their destructive ideology far and wide, all at the public expense. Thus did Western Man decide to abolish himself, creating his own boredom out of his own affluence, his own vulnerability out of his own strength, his own impotence out of his own erotomania, himself blowing the trumpet that brought the walls of his own city tumbling down, and having convinced himself that he was too numerous, labored with pill and scalpel and syringe to make himself fewer. Until at last, having educated himself into imbecility, and polluted and drugged himself into stupefaction, he keeled over--a weary, battered old brontosaurus--and became extinct. All of our efforts as a society have brought us a Clinton(s) and a Trump. And the beat goes on. Thankfully there exists another king and an actual Savior. One who has been and will be followed among many civilizations in the history of the world. His people have thrived under tribal chieftains, communist kommissars, Jim Crow sheriffs, liberal democracies, socialist utopianists and under the boot of fascists and empires. xHis true sheep will thrive under whatever we are currently producing. Jesus taught us that his Kingdom is not of this world system. The church is never at her worst more than we she is trying to rule this one as a cruel taskmaster. Jesus's way of leadership was not to be served but to serve and give his life as a ransom for many. May we follow him in these days and in the days to come. For even though we walk in the valley of the shadow of such mess, there will be a day when faith shall be sight and we shall be free at last. Forgiveness is a part of the nature of God. Individuals and our nation can receive this forgiveness. In these trying and difficult days, all should bow to ask God for grace and humility, that forgiveness may be extended. God will not regard us with favor if we are forever flexing our muscles and proclaiming our richness and greatness. We need to admit our failures and confess our faults and ask for understanding as we strive to make up our delinquencies. A glad God will forgive. Therefore, let us also forgive one another. Remember, an ugly look, a harsh word may pour salt into an already aching heart. On the other hand, a kind word may be salve and balm to that poor, broken spirit. God will forgive as we forgive each other. Gardner C. Taylor, Faith in the Fire (SmileyBooks: New York), 3. If we have experienced the forgiveness of God in Christ, let us indeed bring a kind word tomorrow. A word of good news, a gospel word, full of forgiveness and faith. Thanks Dr. Taylor for showing a good path that is particularly relevant once again in our present day. Owen Strachen recently engaged some current research regarding growing and declining churches in his Gospel Coalition blog entitled, "The Hot 'New' Church Growth Method". In the blog, he comments on statistical confirmation that growing churches tend to have both clergy and congregations committed to biblical truth and evangelism. I commented on this same research in my January 4th post "We believe in?" Owen's article is excellent and makes a strong plea for biblically faithful ministry centered in sound doctrine. Yet Owen makes the following statement that has the potential to be misconstrued. 2. This frees pastors and congregations from the pressure of innovation. Now I agree we need neither showmen nor geniuses to be pastors. Though some humble flare and intellect may be helpful this not in the job description (See 1 Timothy 3 and Titus 1) Whether or not he ought to be an activist we can also save for another day. My concern is that Owen seemingly desires to release any thought of innovation as being a part of growing churches. Just preach the Word, evangelize and God will do the work. Amen, I heartily agree. But are the growing churches that the research cited truly without "innovation"? So what of innovation? Let us not innovate in the faith once for all entrusted to the saints. (Jude 1:3) May we never veer away from that which we received from the prophets, Jesus and the apostles. Yet we can and should innovate in our communication and contextualization of the gospel. As we like to say in Acts 29: we plant theologically driven, culturally engaged and missionally innovative churches in order to reach lost people with the gospel of Jesus Christ. I still remember sitting in a restaurant years ago speaking with a man who began to share with Kasey and me about the changes in a Christian denomination. He was talking about how they were going back to teaching that the Bible was true and that Jesus rose from the dead visibly and bodily. I remember saying quite nonchalantly, "Man, that's awesome." What followed was a look of shock across his visage. You see, his views were more in line with contemporary "mainline Protestantism" which I learned that day to mean "we no longer believe much of that Bible stuff." It has always been a profound puzzle to me why people would choose a form of religion yet then deny the central tenets of that faith, the teaching of its founder as well as it's holy book. What's the point in this? I am personally someone who converted to be a follower of Jesus because I believe he rose from the dead, died for our sins, is the sovereign son of God and the hinge point of human history. If I did not believe these things and experience them I certainly would not be a Christian let alone go to some dead church on Sundays. Today the Washington Post summarized some research over the past year that simply makes sense to me. The churches that are growing actually believe in Jesus, his teaching, his death, burial and resurrection. The pastors and congregations with the most vitality seem to believe in the teachings of Jesus and the apostles as found in the Bible. Shocker right!? Do take a few moments to read the article here. Long ago, an early leader of the Jesus movement spoke of a social reality with people having "the appearance of godliness, but denying its power. " (2 Timothy 3:5) I also find it interesting that the end of the verse contains the following command "Avoid such people." We believe in the Holy Spirit, the Lord, the giver of life, who proceeds from the Father. With the Father and the Son he is worshiped and glorified. He has spoken through the Prophets. We believe in one holy catholic and apostolic Church. We acknowledge one baptism for the forgiveness of sins. We look for the resurrection of the dead, and the life of the world to come. Amen. “Humanity loves screens more than me. See what beauty comes from a flower like love? Is wifi crucial to survive? Have you ever see an athlete on TV saying the victory was guaranteed...because God? Ever wonder as an athlete how to pray related to your practices and competitions? I have a two part essay on sports and prayer going up over at Athletes in Action's web site this week. I hope these posts would be of benefit to the Christian athlete and sports fan out there. Let's stop all the goofy stuff and truly yield life and sport to the sovereign care of Jesus. In response to the focused commercialization of the holiday season, a recent cultural phenomenon has also emerged known as "Giving Tuesday." After we have tracked down the deals on Black Friday and Cyber Monday, the following Tuesday is designated a day for generosity. 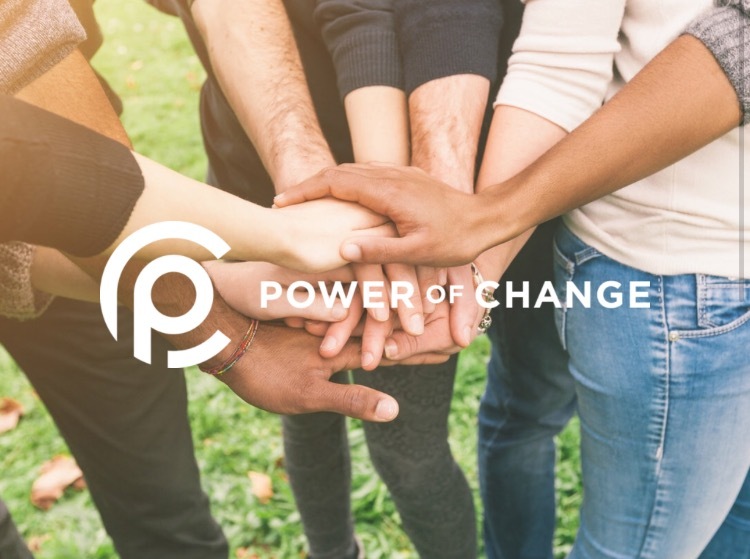 This year, even on Giving Tuesday, would you consider a year end gift to help Power of Change. Our family and ministry is focused on impacting and influencing the coming generation with the gospel of Jesus Christ. We have a special year and match going on to close 2016 and really bee your support. If you'd like to contribute please see this link. This is one of my favorite quotes from one of my favorite authors of all time…just fires me up. There are a few things in this world that we need to keep high. Today I'm thinking of three: humility, integrity and hope. This quote pushes my hope to keep at the good work of the kingdom of Jesus. I know this feeling fills our epoch, and I think it freezes our epoch. For our Titanic purposes of faith and revolution, what we need is not the cold acceptance of the world as a compromise, but some way in which we can heartily hate and heartily love it. We do not want joy and anger to neutralize each other and produce a surly contentment; we want a fiercer delight and a fiercer discontent. We have to feel the universe at once as an ogre's castle, to be stormed, and yet as our own cottage, to which we can return at evening. No one doubts that an ordinary man can get on with this world: but we demand not strength enough to get on with it, but strength enough to get it on. Can he hate it enough to change it, and yet love it enough to think it worth changing? Can he look up at its colossal good without once feeling acquiescence? Can he look up at its colossal evil without once feeling despair? Can he, in short, be at once not only a pessimist and an optimist, but a fanatical pessimist and a fanatical optimist? Is he enough of a pagan to die for the world, and enough of a Christian to die to it? In this combination, I maintain, it is the rational optimist who fails, the irrational optimist who succeeds. He is ready to smash the whole universe for the sake of itself. There are many Christians across the racial and ethnic spectrum who pray, love and work hard to maintain the unity of the Spirit and bond of peace across all the things that we have inherited due to our history both good and evil. It is my sincere hope and prayer that we all continue that work together despite the two presidential candidates that were put before the American people. I voted for neither of them. I would not and could not vote for either per my own conscience. I pray this mess does not divide those of us who have worked so hard together. We have built some good ground together friends and I pray that we will continue to excel and build still more. We have to be committed to empathize, love and hear from one another. There were and are many people involved in this election who were and are very fearful of the future. With either candidate and either outcome. We must work for justice, live in compassion and walk humbly with God. We must stand for righteousness and extend the grace of God to others in the suffering sacrificial servant's work. We have a more excellent ruler and a more excellent way. We have a coming king and kingdom. We have much to repent of now and much in which we have hope. Most importantly, we look to Jesus and in the encouragement of the Scriptures we find hope. This past week I came across an article highlighting a recent interview with Reed Hastings, the founder and CEO of the chill company known as Netflix. For those who have been taking a cultural nap with Rip Van Winkle, Netflix was founded with the goal to bring entertainment on demand to users with a subscription model. What began as shipping a specified number of DVDs to your home each month in iconic red envelopes is now becoming a streaming media giant. On phones, smart TVs, set top boxes, tablets, laptops and even old-school desktop PCs, Netflix is currently streaming a deep catalog of random television shows and movies to people in 190 countries. Its own in-house developed premium content has won numerous Emmy awards and the creative flow and talent that Netflix hires seems to be dropping one hit after another. Seriously, Stranger Things. What struck me about the interview with Hastings was the closing quote which highlighted the focused mission of the company. Here we have the stated, fundamental focus of a technologically forward, creative company that somewhat lays bare the soul of our civilization. What hills are the leaders and legions of Netflix employees charging up? Loneliness and boredom. To be quite honest we could not pick two better words to describe the state of our civilization. We are a people where love has grown cold and we have nothing to do. We are lonely and we are indeed bored and one of the major solutions to our existential crisis is to simply fire up Netflix and chill. Our loneliness and boredom have been tackled by scholars over the years. Postman's Amusing Ourselves to Death and Putnam's Bowling Alone come to mind. These scholars acutely recognized our cultural dilemmas decades ago. Their prescience related to our fragmentation as a people and our lack of passion and purpose as a society continue to be relevant as various aspects of modern life continue to ebb away at our humanity. Perhaps watching more TV, perhaps better TV, will reconnect our communities and give us freedom from the onslaught of the mundane and the boring. Somehow that sentence itself leaves me feeling a bit empty. As I begin, let me be up front for moment. I deeply enjoy some of the excellent story telling that is happening today. In his book Difficult Men, journalist Brett Martin has rightly highlighted our day as a new golden age for television. Netflix is a part of this recent TV revolution with their original programming drawing its fare share of critical acclaim. Even in this age of excellent, long-form story telling, we still need far more for our lives than great fiction and excellent TV productions. In other words, television, even better television, isn't enough to tackle these twin towers of our cultural condition. We need much more to address our loneliness and our boredom. To address what Ravi Zacharias has called "the inner ache of loneliness" we will find great help along three lines: family, faith and friendship. It is no secret that the very idea of family has been fractured, redefined and discarded in our society. What is family? Whatever you want it to be even if that doesn't mean very much at all. The Scriptures give a different picture. We are formed in families and these are based upon covenanted love and union. Promises made and lived together before God and people in the marriage union forms homes where people may travel in intimate connection. Family is a gift of grace where people can find a place of belonging, a place of love and a place of human interconnection. Secondly, faith connects us deeply with a shared sense of worship, focus and mission. Our faith in the Lord, our common held values, beliefs, practices and identity connects us to a broader community where God is father and Christ is king. Third, loneliness cries out for friendship. To accept one another, to enjoy fellowship, similar interests and to appreciate one another as we tackle this life of difficulty is a gift. This trinity of family, faith and friendship actually have flowering and fulfillment for the follower of Jesus. In Jesus we are brought into a larger covenant family called the church. In Jesus we have this wonderful person who is the recipient of our worship and love. We have faith in him, we trust him and this gives us confidence in the storms of life under the sun. Finally, Jesus, the God-man, desires to call us his friends! Shocking and wonderful. Loneliness meet Jesus. Friend of sinners and hope of the world. If anyone can quickly summarize and describe what it means to be bored they actually have a very creative mind. I've told all three of my children countless times that boredom is the product of a lack of creativity and a disengaged mind. Yet to define boredom is a bit of a creative task in itself. We all know what boredom is as we experience it. But to talk about it can become a bit more difficult. After thinking about this for a few days I tend to think of boredom as a soul paralyzed without purpose, mission and direction in the midst of many options as to what one could do. It is a passivity of life that leaves one unsatisfied. The dilemma of our culture is not that we have nothing to do, but that we have so many things which we could do. Should we watch this or that? Should we go here or there? Should we be with him, her? Zhe or zhem? We seem to have more and more questions in our day and less and less answers. We all just know we should be "happy" (whatever that means) but we all know that we just seem bored. Who wants a life of contentment with having food, shelter and clothing? We need more in our culture. We always need more, but we don't know what we need or what we need it for. Parent: Well go do something. Parent: Whatever will make you happy. Soul: I don't know what that is. Parent: You have to figure it out but don't offend anyone or do anything wrong. Wrong as defined by "us" and that's always changing so figure it out, but not too much and don't share what you find with others if they find it offensive. Go to it! You are on your own! Boredom is here to stay and we know it. So how do we face this constant banging of boredom? Netflix! Yes, it will help for a little while but then what? More Netflix! Netflix til we die! The problem here is that we die long before our bodies depart this earth. We die living a thousand stories with none of them being our own. There is, however, something that knocks out boredom and infuses life with something far greater than just turning up the entertainment dials. There is nothing that addresses boredom like a sense of purpose and mission taking root in our lives. If we think for a moment what we have to live for, you might be surprised at how infused each day can be with a sense of wonder. Even now, I look at the things which are before me. A mission to love my wife as Christ loved the church. A mission to father my children with grace, love, truth and purpose to bring them up to know God and make him known. A mission to follow Jesus in his work; to love and serve and seek and save people through the gospel. A mission to see all of life as important and purposeful and the hand of the One who made all things. A mission to see our vocations, jobs and duties as part of God's plan to shape my life and transform me to be more like Jesus and a means by which he blesses others. Yes, even the jobs we don't really like! A belief in God is not just wishful thinking or simply a work of the imagination. Belief in God tells us that everything has a purpose under the sun and that there is a season for everything under heaven. There is even a purpose for boredom as it gives us a push to examine our lives, our loves and our motivations. And beyond mere theism, a Christian understands that Jesus is leading all of life to be lived in light of who God is and what his purposes are for humanity. Even knowing this allows us to participate in things like great narrative storytelling with new eyes and fresh affections. We can see that the friendships, mission, fears, hopes, heroes and demons in TV shows like Stranger Things are but mere pointers and shadows to even greater and more meaningful realities. Netflix can then be watched to the glory of God and not simply as a mind numbing diversion to take us out of our lonely stories and bored lives. Over the years I have grown to appreciate reading history from various eras and epochs. I have deeply enjoyed the works of Roger Crowley and his treatment of the Mediterranean world in the middle ages. I have loved the American narrative history of David McCullough. The telling of the stories of various spies is in World War II by Ben McIntyre have fascinated and the historical intrigue of the works of Erik Larson I have found thrilling. Over the last few years I have grown a deep appreciation for another historical author and her works. Namely, Candice Millard. The first book I read from her was entitled "Destiny of the Republic" and is a wonderful look at the life, assassination and medical treatment of President James A. Garfield. She introduced me to a time in history I knew little about and a president whose tenure was shortened by a bullet, or more accurately, an infection from a minor bullet wound. She also featured the technological innovations of Alexander Graham Bell and how certain technologies and medical knowledge could have easily saved this president if just a few years later in history. Recently, I took up her new work on the young years of one Winston Churchill. Her newest book entitled "Hero of the Empire" features happenings leading up to and during the Boer Wars between the British Empire and various republics in South Africa. I learned much about young Churchill, how leaders are formed and shaped as well as some early history and precursors to one of the more racist regimes in world history. How should we educate our children? There simply isn't one answer to this question for followers of Jesus. Yet there are principles which can help guide and inform our decisions for our families. The following are just a few principles to lovingly engage around as we educate our children. First Principle: The holistic education is the responsibility of parents and a duty which centers in imparting our faith to the next generation. Education, from a biblical persepctive, must include the teaching of the gospel to our kids – Deuteronomy 6:4-6, Ephesians 6:1-4. Second Principle: Education is a shaping of the whole person into the image of Christ and enabling them to see life through the gospel and contribute to the world with skill and wisdom. Third Principle: There are many paths to faithfully fulfill that duty. We must be involved as parents in the education of our kids. God gave us this responsibility. There are many partners in this endeavor including other parents, church community and our schooling choices. Our family has engaged with three different schooling models over the last 11 years. We home schooled our oldest one year, we've had our kids in classical Christian schools and now we are in public school with our daughters. The following are a few warnings and encouragements to help you as parents with walking in your schooling choices. Warnings for public schoolers – the complete disconnecting of knowledge from the knowledge of God is a disjunction you must address. Your work must have “integration” of subject matter into a broader Christian conceptual scheme. So your task is to teach your children how “Math” and “God” relate…and many other such subjects. Additionally, you will need to provide some training in worldview, thoughtful engagement and apologetics to help your kids interact with the godless universe they will be presented. Warnings for private schoolers – there is a temptation when attending elite private schools to completely check out of your children’s educational experience due to the fact that paid professionals, who have a track record of certain kinds of results, are leading your children. Watching for pride, elitism and the idolatry of societal success and position must be addressed in some settings. See also the warning for public schoolers as this is applicable here in many cases as well depending upon the worldview of the private school. Warnings for Christian schoolers – there is a temptation to think your kids are “safe” from worldly influences being in a Christian school. We must not forget that the imparting of faith must first come from your home and from the household of God (the church) and not simply the school. Additionally, there can be just as much sin in Christian schools as there is in non Christians and having the label “Christian” does not mean the all the kids have a holy agenda 24/7. You also must resist “bubbling off” your kids from our lost world and mission. Warnings for home schoolers – Home schoolers, have to resist the temptation to see themselves as better, more pure, or prideful pioneers. Grace must be extended to other families who have not chosen “the way” of home school. Additionally, your children must be involved in the mission in your local church and have a regular flow of connecting with a lost world and culture. If not, they may prove ineffective in bringing the gospel to bear to people in culture. Here my warning is about mission, not “socialization” and social awkwardness. I think that’s a silly critique of homeschooling. A well-adjusted home school student may not understand and relate to lost people if not connected with them regularly in church/city. A missional church is a must. Encouragements for private schoolers – the educational dedication of some private schools is fantastic and you too can engage with people in culture as a witness for Jesus. Encouragements for Christian schoolers – to have Scripture and a biblical worldview be an integrated part of learning at school is a wonderful thing. To have your family and your school cooperating with the same worldview goals is an excellent help establishing your kids in the gospel and having an integrated view of knowledge. Encouragements for home schoolers – the relationships and context of learning is natural and free flowing as you explore God’s world with your kids. This is something to relish and be thankful for. Your ability to move at the “right pace” for your child is a gift that you can direct with wisdom. Additionally, learning is not institutionalized and can become a natural love and life long process of your children. God has placed you in charge of your child’s education as parents. Relish the flexibility, opportunities and choices that abound for you. One final word of exhortation. In local churches we must seek to be an encouragement and help to one another as we educate our children, bringing them up in the discipline and instruction of the Lord. We don't need "schooling wars" even as you go about your responsibilities and educational choices with passion and conviction. Be a blessing and a help to those choosing both similar and different educational paths to your family. We have too many other important battles to fight to go to war about school.